Are you interested in going into business for yourself but not by yourself? 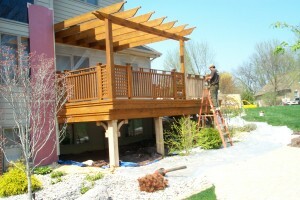 Since 1996 TimberSeal, LLC has been the leader in the wood restoration, preservation and maintenance market. With our unique process for restoring exterior wood decks, fencing and siding and our proprietary products for preserving and maintaining those wood structures a TimberSeal Dealership creates a quite lucrative opportunity. Is the TimberSeal Dealer Program for you? Success in business takes drive and dedication bottom line. If you prefer to sit on the couch and wait for the phone to ring this opportunity certainly isn’t for you. However if your a go getter who would like to be in charge of his or her own destiny, a goal setter that wants strives for success and a person with great people skills your looking at a great opportunity. The TimberSeal Dealer program provides a motivated and qualified candidate with the knowledge, tools and premium products necessary to build a profitable long term wood care company. Why should I invest in the TimberSeal brand? Our 3 Day Training Camp to learn the ropes of this business and get your business running at peak efficiency! Access to the highest quality restoration products & equipment at dealer prices. Access to our very own TimberSeal Pro-UV Penetrating Oil Finishes at dealer prices. Access to PROVEN high quality marketing materials that SELL your customers! Access to our web based lead service program which provides high quality leads for YOUR service area. No royalty fees! We operate under the when you succeed we succeed philosophy! A business where your growth possibilities are nearly endless! You’ll build a repeat client base each and every year in addition to taking on new clients which compounds into growth in sales revenue! Protected Territories to insure your success without added competition. In addition you’ll learn how to add in other profitable revenue streams such as house washing and concrete/paver cleaning and sealing. I’m interested! What’s the next step? 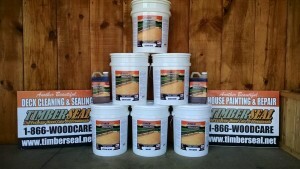 Applying for the TimberSeal Dealer program is easy! Simply fill out the form below and we’ll get the process underway on our end. We do require a background check on all of our applicants to insure we’re dealing with quality, ethical individuals who mean well by our brand and customers. Upon completion of the review process our Dealer development leader will contact you to schedule your training days and go over a recommended program to get your business up and off the ground quickly.